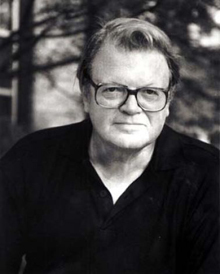 Pulitzer Prize-winning author, journalist and historian Garry Wills joins Emory University's Candler School of Theology this semester as a distinguished visiting professor in the Alonzo L. McDonald Family Chair on the Life and Teachings of Jesus and Their Impact on Culture. In this role, Wills will present a public lecture on "Government and the Arts" on Sept. 18 at 7:00 p.m. at Glenn Memorial United Methodist Church on the Emory campus. Admission is free, but registration is required. Register online. Wills' lecture will focus on the relationship between government and the arts—specifically, whether government should fund the arts. "There is a long history of states supporting the artistic as well as the intellectual life of their citizens," he says. "Though some think the United States should be an exception to this, the Constitution actually supports that support." A lifelong Roman Catholic, Wills is professor emeritus of history at Northwestern University in Evanston, Illinois. Throughout his five-decade career, he has written extensively on politics, religion, and culture, penning nearly 50 books on subjects as wide-ranging as Nixon, St. Augustine, the papacy, and the modern presidency. His 1993 book, "Lincoln at Gettysburg," won the Pulitzer Prize for General Non-Fiction, and he was awarded the National Medal for the Humanities in 1998. Wills was born in Atlanta and grew up in Michigan and Wisconsin. He received a bachelor of arts in philosophy from Saint Louis University in 1957, a master of arts in philosophy from Xavier University in 1958, and a PhD in classics from Yale University in 1961. In addition to his public lecture, Wills is teaching a course at Candler entitled "Augustine on the Trinity," and will address other small groups during his McDonald Chair tenure. The Alonzo L. McDonald Family Chair on the Life and Teachings of Jesus and Their Impact on Culture is supported by gifts from the McDonald Agape Foundation, chaired by Alonzo L. McDonald, a longtime trustee of Emory. The McDonald Agape Foundation "supports lectures and other public presentations that deal creatively and imaginatively with the person and teachings of Jesus as they shape and form culture." Recipients are given a distinguished visiting professorship, in which they speak and teach in the focused area of Jesus' effect on culture and conversely, culture's shaping of the figure of Jesus. Past McDonald chair lecturers include Judge John T. Noonan of the U.S. Court of Appeals for the Ninth Circuit; composer Alice Parker; art historian Herbert Kessler; historian and documentary filmmaker Randall Balmer; author James Carroll; and Episcopal priest and bestselling author Barbara Brown Taylor, among others.